Behind any great rock band is a great drummer carrying the beat. Or, in this case, inside one great drummer was an equally great songwriter waiting to break out. Singing drummers are a rarity, and it’s rarer still that one should break away as a solo lyricist. 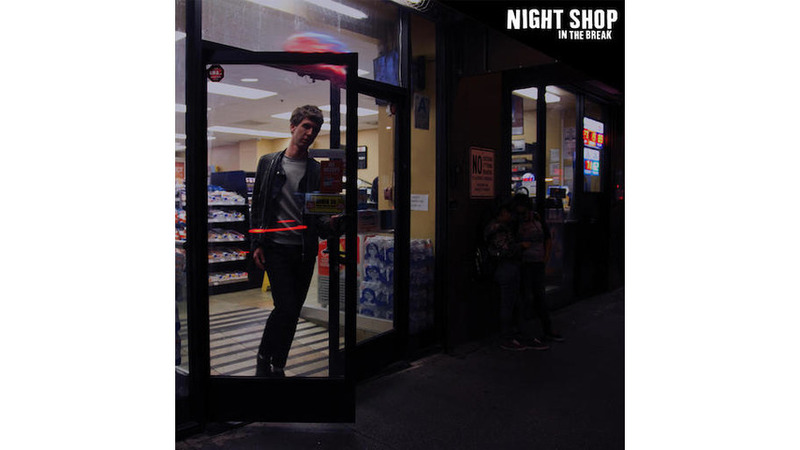 But one such rhythm maker has done just that: Justin Sullivan, who for the last two decades was a touring drummer with bands like Ringers, Worriers and Kevin Morby’s the Babies, is making his full-length debut as Night Shop with the warmly astute In the Break, a follow-up to his self-titled EP from 2017. An uncomplicated trapse into folk rock, In the Break isn’t an album meant for picking apart; rather, it’s already cozily knit together, ready for the listener to climb inside and stay awhile. Like his lyrically talented predecessors Kurt Vile, Courtney Barnett and Morby, Sullivan is a whiz at artfully emphasizing the mundane. He finds the magic in lazy all-nighters and long drives, the worth in evening commutes and red light respites. In the Break, like its title suggests, is an album for in-between moments, for lunch time listening and morning coffee sipping. The album’s soothing title track finds Sullivan amused by small, usually unnoticeable spaces: “Somewhere in the margins I can see it clear/ where everything is motion and I’m not here,” he sings. Later, he worries he’s missing the delight in the everyday: “Is it all just passing over my head?/ Is it all just something I don’t understand?” In the Break begs us to seek life’s allure when we’re both on and off-the-clock. Sullivan’s first solo LP is a reminder that there’s nothing wrong with a little dusty, relaxed rock ‘n’ roll. It asks also, as a rule, that we pay more attention to drummers—you never know when one might break away and write a stellar album all on their own.